Pioneers in the industry, we offer heatless compressed air dryer and heatless air dryer from India. 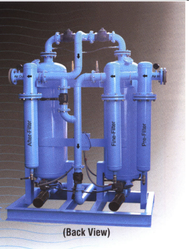 Clients can avail from us, a comprehensive range of Heatless Compressed Air Dryer. These products are demanded extensively in various industries and are manufactured using the premium quality raw material, in absolute compliance with international quality standards. Our professionals design these dryers with the help of the latest technology and advanced machinery, in order to serve our clients in the most effective manner. 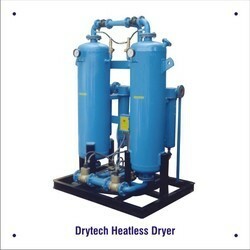 Clients can avail from us, a comprehensive range of Heatless Air Dryer. These products are demanded extensively in various industries and are manufactured using the premium quality raw material, in absolute compliance with international quality standards. Our professionals design these dryers with the help of the latest technology and advanced machinery, in order to serve our clients in the most effective manner. Looking for Heatless Air Dryers ?